Divorce is a difficult time for the couples who are dissolving their union, and for everyone else involved – family, friends, and children. Each marriage is different: some marriages have accumulated property and wealth; some marriages raise children; others have a combination of a wide range of legal issues from property division to spousal support to child custody and child support. You need an experienced and effective court-room advocate to guide you through the process with a hard-working and friendly staff. In North Carolina, couples who wish to divorce must be separated for at least one year. That does not mean, however, that you should wait one year before seeking the advice and guidance of a divorce attorney. Between the date of separation and the Order for Absolute Divorce, most of your legal issues can be resolved with the help of a competent and effective attorney. If you would like to speak with Frank about your divorce, schedule a consultation today. Parents have a constitutionally-protected right to raise their child. However, this is not an absolute right as it is one that may be forfeited if the parents act inconsistent with the privilege of being a parent. In some situations, grandparents and other third parties may be awarded custody and/or visitation rights. For nearly two decades, Attorney Frank P. Hiner, IV has represented parents, grandparents and other interested parties in the Albemarle area as they bring their legal fight for custody of a minor child to the courts of the First Judicial District of North Carolina. Custody proceedings are emotionally draining for all parties involved. You need an attorney who knows the law and can effectively tell your story to bring you and your child the best result possible. You want Attorney Hiner, an experienced court-room advocate, to give you peace of mind. If you have questions about child custody and visitation, contact us. North Carolina uses a mathematical formula based on the child's parents' income and legal obligations to determine how much a non-custodial parent owes the custodial parent in child support. However, there are times when children with special needs or parents with extraordinary circumstances may be entitled to either deviate above or below the guideline range for his or her financial obligation. North Carolina uses guidelines to presumptively provide for the "reasonable needs of the child for health, education, and maintenance" based off each parents' "estates, earnings, conditions, accustomed standard of living of the child and the parties, the child care and homemaker contributions of each party and other facts of the particular case." N.C.G.S. § 50-13.4(c). However, there are times when "the Court finds by the greater weight of the evidence that the application of the guidelines would not meet or would exceed the reasonable needs of the child considering the relative ability of each parent to provide support [. . .]." Frank P. Hiner, IV, has been representing parents in Elizabeth City and the surrounding counties in northeastern North Carolina since 1997. If you would like to speak with Frank about your child support options, schedule a consultation with us. Inevitably, you and your spouse purchased items, whether personal property, real estate, IRAs or other intangible property, that are for the benefit of both of you. The tricky part is how to determine where those assets go when the marriage gets dissolved. Equitable Distribution is the method by which North Carolina uses to define what assets are marital, divisible or separate property, and how to properly award those assets to each party. Whether your marriage acquired assets in Edenton, Elizabeth City, Manteo, or anywhere in the State of North Carolina, the country or anywhere else in world, it is important that you receive your fair share. Equitable Distribution is the means by which the District Courts of North Carolina use to divide assets acquired during the marriage. It is not a simple process. You need an experienced and hard-working advocate like Attorney Frank P. Hiner, IV. If you have questions about the equitable distribution of assets in your divorce, contact us. Alimony can come in many forms. The North Carolina General Statutes define alimony as follows: "an order for payment for the support and maintenance of a spouse or former spouse, periodically or in a lump sum, for a specified or for an indefinite term [. . .]." G.S. 50-16.1A(1). If you are the party suing for alimony, it is important to have a courtroom advocate who will formulate a strategy that works for you and fits within the state's broad definition. If you are the party that is being sued to compel payments, you need an attorney who knows factors that will mitigate the amount of alimony you owe and defenses that may potentially bar alimony. In the dissolution of a marriage, there will be an inevitable financial fallout. However, alimony will help assure that a spouse who had become dependent upon the other spouse's income for his/her standard of living is not left out in the cold. Likewise, the dissolution of a marriage creates an economic impact on the supporting spouse who certainly neither needs nor desires to be strapped with an undue financial burden. Hire attorney Frank P. Hiner, IV, a North Carolina State Bar Board Certified Specialist in Family Law, to guide you through the process. An award of post-separation support can be made by the court before a final award for alimony is decided. Post-separation support is a temporary legal remedy. It is an award made to a dependent spouse while the parties are in litigation. An award of Post-Separation Support is based upon the parties' financial needs with due consideration given to the parties' accustomed standard of living, present employment income, other recurring earnings of each party from any source, their income-earning abilities, and the parties' debts. G.S. 50-16.2A(b). Whether you are being sued for post-separation support or asking the court for this remedy, it is important that you have a court-room advocate like Attorney Frank P. Hiner, IV, so that you are treated fairly during this proceeding. If you have questions about alimony or post-separation support, schedule a consultation with Frank. A separation agreement between spouses is a contract for the dissolution of their assets, spousal support, and other rights that are afforded to each spouse during the marriage. Whether ultimately incorporated into a divorce decree or left standing on its own, a separation agreement is a cost-effective method to handle the dissolution of a marriage. By entering into a separation agreement, you and your spouse will be able to divide up the marital assets and resolve controversies outside of court. This is a desirable method to the dissolution of a marriage because it empowers each spouse to negotiate over how they will split their assets. However, before entering into a separation agreement you will want to be represented by counsel to make sure that there are not any errors or oversights that can cost you a fortune down the road. If you need legal advice on your separation agreement, schedule a consultation today. A premarital agreement (aka: a "prenup") is simply "an agreement between prospective spouses made in contemplation of marriage and to be effective upon marriage." G.S. 52B-2(1). In North Carolina, the agreement must be in writing and signed by both parties to be enforceable. Entering into a marriage has major financial consequences. Just as taking care of your body by exercising, eating right and living a healthy lifestyle may save you a fortune in future medical bills, considering and planning for the financial ramifications of a marriage before it is entered into simply makes good financial sense. Protect your financial future, hire family law specialist Attorney Frank P. Hiner, IV. If you need help planning a pre-nuptial agreement that you and your spouse are comfortable with, schedule a consultation today. When a child changes his or her name, there are fees and vital documents that must be presented to the clerk of court. When an adult changes his or her name, the process requires a little more nuance, involving background checks and an affidavit by the applicant affirming that he/she has no outstanding child support or tax obligations. Name changes may seem like an easy process, but it involves a lot more than simply changing a social media handle or profile name. You do not want to find yourself accused of committing fraud or getting denied services because you failed to properly change your name. Allow an attorney at the Hiner Law Firm to guide you through the process. Let our office make the process of changing your name simple, schedule a consultation today. The State of North Carolina defines an "incompetent adult" as one who "lacks sufficient capacity to manage the adult's own affairs or to make or communicate important decisions concerning the adult's person, family or property." G.S. 35A-1101(7). This is true as to whether the person lacks such capacity due to "mental illness, mental retardation, epilepsy, cerebral palsy, autism, inebriety, senility, disease, injury," or similar conditions. None of these conditions make the value and worth of that person any less than anyone else. However, the law recognizes that people suffering from certain conditions need to be appointed a guardian. If you have a parent, child, spouse or other loved one who lacks the capacity to manage their own affairs, it is incumbent upon someone to step up and take care of them. This person may be you or it may be someone you trust who is willing and able to act as guardian. If the loved one you care about is a resident of Camden, Chowan, Currituck, Dare, Gates, Pasquotank, or Perquimans counties, call NC State Bar Board Certified Specialist in Family Law Attorney Frank P. Hiner, IV. Let our office help you work out the details on the guardianship of your loved ones, contact us today to schedule a consultation. If you or a loved one has been taken into police custody, it is of paramount importance to contact an attorney. Under no circumstances (except to give your name) should an individual who has been taken into custody talk to the police until and unless a lawyer is present to advise him/her and assure that his/her rights are preserved. One of the things that makes the United States of America a great country, and the State of North Carolina a great state, is that before the government can take away an individual's freedom, it must provide him/her with due process. Whenever you are charged with a crime, it is important to have an attorney to guide you through the process so that you can come out of it with a plan to get your life back on track. If you or a loved one are in trouble with the law, contact an attorney at the Hiner Law Firm today. If you have been charged with a crime or traffic violation in northeastern North Carolina, our firm can help. Contact us today to schedule a consultation. The civil justice system works most effectively and efficiently for individual litigants who hire attorneys that are familiar with the mechanics of the court room and its administrative offices. If there is something that you feel is owed to you, whether it is reimbursements for medical bills that resulted from an accident, or a contract dispute in which you feel the other party has taken advantage of you, it is important to protect your rights in the civil courts of justice. The Hiner Law Firm represents litigants in the First Judicial District, which includes the towns of Edenton, Hertford, Elizabeth City, Camden, Moyock, Kitty Hawk, and Manteo, and the surrounding Albemarle Sound area. If you need assistance or legal advice on a civil matter, contact us today to schedule a consultation. Sadly, more people die without having executed a will than die with one. This can lead to an undesirable distribution of the decedent's assets, leaving the disposition or property to the State's intestacy laws (the default rules). By leaving the distribution of assets to the State's default rules, the descendants and friends of the deceased may be left in flux and confused as to how the assets were divided. If there are people who you care about in your life and you possess property, do not leave the distribution of those assets to the State's intestacy laws. It is important to obtain legal counsel to help you execute a will that distributes your earthly possessions as you would wish when it is your time to leave this world. Let our office help plan your will so you can be assured that your assets distributed properly. Contact us today to schedule a consultation. Frank P. Hiner, IV has focused his attention, education and advocacy to the craft of family and domestic law practice. Attorney Hiner is a N.C. State Bar Board Certified Specialist in Family Law. He was admitted to the North Carolina State Bar in 1997. He's also admitted to practice in the United States District Court in the Eastern District of North Carolina and the United States Court of Appeals for the Fourth Circuit. Frank graduated from Cumberland School of Law of Samford University in 1997. He graduated from the Judge Advocate Officer Advance Course at the U.S. Army Judge Advocate General's School in Charlottesville, Virginia in 2001. In 1985, he graduated from the University of California-Santa Barbara with a Bachelors of Arts and as an R.O.T.C. Distinguished Military Graduate. Frank was an officer on active duty in the U.S. Army from June 1985 to July 1994, and then served in the U.S. Army Reserves. Frank is a graduate of the U.S. Army Ranger, U.S. Army Airborne and U.S. Army Air Assault schools. Frank retired from the U.S. Army Reserves as a JAG officer in 2005. Frank is married and lives in Camden, North Carolina. Brett Lewis is an attorney who is in general practice. He is admitted to practice in the State of North Carolina. Brett focuses on criminal and civil litigation. 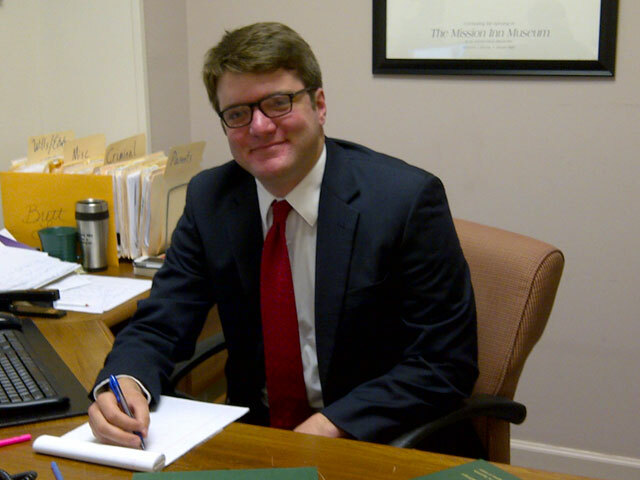 Brett graduated from The Norman Adrian Wiggins School of Law at Campbell University in 2014. While in law school, Brett was an officer for the Campbell Law Innocence Project, which evaluated criminally convicted individuals' claims for innocence. He also interned in the Moore County District Attorney's office. In 2010, Brett graduated from the University of Redlands with a Bachelor of Arts in Government. Brett was a professional journalist before he decided to go to law school. He had worked as a sports writer and reporter for The Press-Enterprise newspaper in Riverside, California. He was the co-editor-in-chief of his university's college newspaper. During law school, Brett worked part time for The Herald-Sun newspaper in Durham, North Carolina, and wrote election coverage news pieces for the Carolina Journal in Raleigh, NC. He's also been published in the Campbell Law Observer, and various other blogs and online content. Brett enjoys watching baseball, listening to jazz and country music, and eating Eastern North Carolina barbeque. He lives in Elizabeth City, North Carolina. Few moments are more stressful or difficult than family law disputes. You need an experienced, hard-working attorney who will listen to your story and advocate vigorously and effectively for you. Frank is certified by the North Carolina State Bar as a family law specialist. He has been advising and guiding clients through the often lengthy and difficult legal process of family law matters in the 1st Judicial District of North Carolina since 1997. Give the friendly and helpful staff at Hiner Law, PLLC a call today to schedule an initial consultation. Divorce can be one of the toughest experiences a person can go through. Allow Frank to handle your legal issues while you rebuild your life. We'll advocate for your interest in providing for the care and custody of your children so that you can make sure they're on the right path toward adulthood. Whether you're ordered to pay child support or entitled to receive it, the issue is one of great importance to your family's financial future. The distribution of marital, separate and divisible property can often times be more complicated than the actual acquiring of those assets. Let an experienced attorney handle those issues. Whatever your household income was during the marriage, Frank has an understanding of the law and advocacy skills necessary to protect your interests. The dissolution of a marriage leads to many unresolved legal issues. If you're not legally advised, these issues can lead to economic ruin and emotional distress. Let Frank to draft your separation agreement so you can have peace of mind. You've met someone you love and want to spend the rest of your life with. You've also worked hard for your financial security and worry about how marriage will affect your estate – consult with Attorney Hiner to plan the road ahead. Whether you desire to have your child's name changed or your name changed, the Hiner Law Firm can help you realize this important part of you and your family's identity. If a loved one, family member or close friend is in need of a guardian, consult with Attorney Hiner to guide you through this difficult time. Few moments are more stressful and disheartening than when your freedom is taken away: Hire an attorney from the Hiner Law Firm to protect your rights, and guide you through the process. Whether you find yourself embroiled in a contested real estate matter, injured in a car accident, or wronged by a breach of contract, consult with an attorney at the Hiner Law Firm. Gain the peace of mind knowing that your family and friends will be provided for. Frank has focused his attention, education and advocacy to the craft of family and domestic law practice. 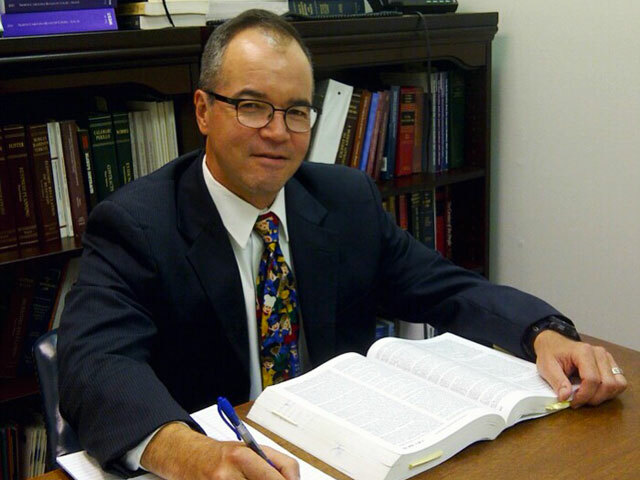 Attorney Hiner is a N.C. State Bar Board Certified Specialist in Family Law. Brett is an attorney who is in general practice. He is admitted to practice in the State of North Carolina. Brett focuses on criminal and civil litigation.